A couple years ago Thom Rainer wrote, “What Effective Pastors Do With Their Time.” Add enough grains of salt to match your particular taste in the definitions Rainer uses for effectiveness, the sample size, whatever, but the article is worth reading. I’ll only mention in passing my call to 6-hours-of-sleep pastors to practice better self-care, and briefly say “Stop it! Now!” to pastors spending 8 hours a week performing custodial duties at their churches. What I really want to talk about is pastoral care. “Effective” pastors spent a great amount of time (22 hours) in sermon prep, while “ineffective” pastors spent a truly massive amount in pastoral visitation (33 hours!). As for me, I don’t spend that amount of time in sermon prep (and I assume that those pastors who can are the teaching pastors on large staffs). But I would die if I spent that much time in pastoral visitation. Actually, the church and I would probably be in a race to see which could die first. Literally speaking, there are full-time chaplains who do not spend that much time in pastoral visitation. While I’ll never spend 33 hours in one week (not even that time last year when I had four funerals in 10 days), I need to do pastoral care better and with more of my time. I know some local Lutheran pastors who bring Communion to their folks once a month. Most older United Methodists are not sacramentally-oriented, but they do appreciate visits from their pastor regularly. In the twenty-two months I’ve served my two parishes I’ve gone through several ways of trying to visit regularly. I’ve assigned X number of hours each week, but when the needs of the week shift, pastoral care time is lost first. I’ve assigned X number of people per week, but that practice never was repeated long enough to become a habit. I’ve created charts to keep track of how often I see a person and what we talk about, but I fail to make time to regularly input information or to regularly use that information to schedule future visits. 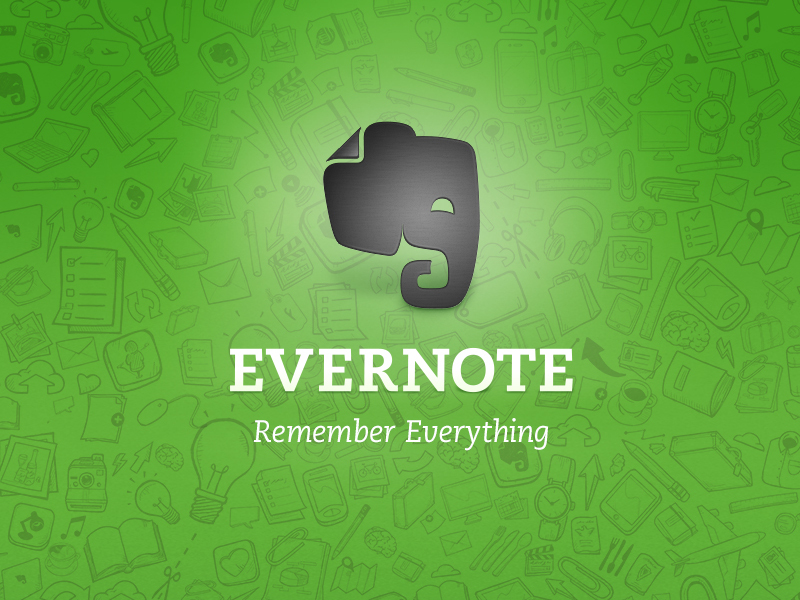 Enter Evernote. I now have a notebook titled, “Pastoral Care,” with a unique note for each person I visit. The body of each note can include all sorts of information: the person’s address, phone number, date of visit, names of family members or pets, phone number for the hospice chaplain, etc. If you’re a pen and paper person, you can scan in that Moleskine page of yours too. Most useful is that you can then set a reminder. (I do this in Evernote, because then all the information is in the same place, and my calendar is not all gunked up with things that are not actually set appointments.) Want to visit a person once a month? Perfect. They’re in the hospital and you need to check in more regularly? Easy. Some other time-frame, including options for when you share pastoral caregiving with other pastors and laity? Done. Personally, my default when I visit someone is that when I get the visit time on my calendar, I look a month ahead, then set it for Monday of that week at 8am, so it pops up as I’m scheduling the week. My folks who need visits tend not to keep very detailed calendars, so I don’t go further out than that at this point. Your context might be different. As with all Evernote things, the sky is the limit in suiting this to your context. For instance, I have my church phone directory in an Excel spreadsheet. I could hyperlink from people’s names to their Evernote notes if I wanted to. I don’t. Let me know in the comments if this works for you, as well as any other technology/productivity helps that you bring to bear on pastoral care.